Cops, criminals, convicts and vigilantes, we're calling you! 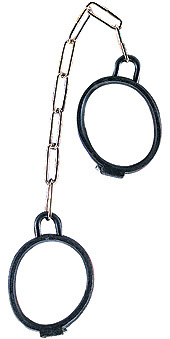 Whether you're cuffed or doing the 'cuffing, these shackles are perfect for law enforcers both past and present. Why not pair these handcuffs with a Prisoner Boy or Police Officer costume?